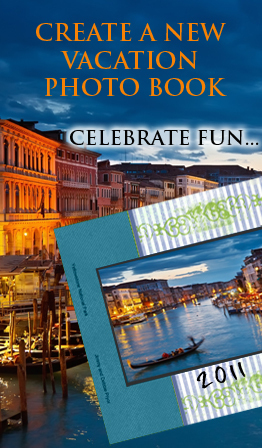 ♦ Photo books and photo albums are the perfect gifts for any occasion. ♦ Family Memories FREE book design software helps you create and print photo books one at a time. ♦ Making photo books is fun. Start to create your own album now! 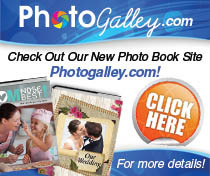 ♦ All our photo books and photo calendars are printed and made in the U.S.
Photo Book? It's Fast, Fun and Easy! We offer 30 Initial Pages, instead of the 20 offered by other companies. And with over 100 new templates available, you can place unlimited photos per page with this photo album software! Easy usage of system fonts. You choose which fonts you want to use. You are in total control of your creative project! The photo album software allows for the embedding of any fonts from your very own computer, when you design photo books. Unlimited text boxes per page. Rotation of text and photos in any direction. Photos and text can be placed on top of each other. Integrated photo editor that gives you more control over your final product's special effects such as sepia, negative, and b/w conversion. Also, for your convenience and to help maximize your specific creativity, the photo album software utilizes "layers." This allows for the precise placement and layout of your images and text. And you can easily rearrange pages in any order! 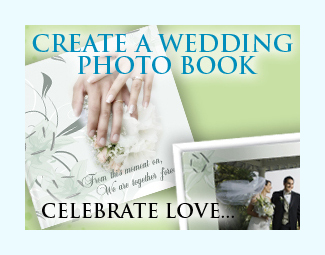 Turn special and cherished photos into your very own creative, professional photo book! 8.5" x 11" and 12" x 12" and new soft cover options too. notebook, personalized notepad and personalized poster. Leather Photo Albums— in black and brown colors. Auto-Flow Design Feature— auto place photos. Zoom Tool— allows for precision design. FamilyMemories on TV with Living In Style! and the easy-to-use auto design feature, you can create beautifully personalized photo books in less than an hour and have it shipped in just a couple of days. Keep the sweet memories of your wedding ceremony in a wedding album, relive a happy vacation, celebrate a birthday party, or welcome the new baby in your family with a hard cover photo book. This is the best choice to captivate all of your special memories, when you design your photo books! The extraordinary, treasured gifts from Family Memories is the most unique way to preserve all of the the cherishable moments in your life, especially with a wedding photo album. Choose from an array of gorgeous fabrics, leathers, or custom covers for your book. The highest quality cover materials and beautiful end sheets are carefully bound to create these fine art, long-lasting photo books. It is truly easy to create photo albums tailored to your specific creative and artistic needs with the Family Memories Photo Album Software. And you will discover a number of design add-ons that can make your photography book a true representation of your personal style. Easily choose from different sizes and templates. Retouch your photos, put one on a spread or use a collage on a single page— it's up to you! Drop in text, personalize the photo book cover and you're on your way. You'll find numerous reasons to create photo books and get them printed for any special occasion - year round. Let your imagination fly! With literally hundreds of backgrounds, 100+ templates, special effects, and usage of layers, the possibilities of your photo book are limitless. 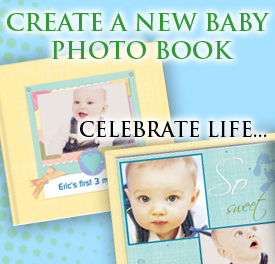 And, creating your personalized photo book is fast, fun, and easy! Bring your digital pictures to life and share your special memories for a lifetime with Family Memories today!